Happy Tuesday, Belated Monday, Almost Wednesday! Whew! Anyone else feel like time is flashing by at lightspeed proportions?!?!?! The weekend was over and Monday arrived before I was finished with all I needed to get done!! Alas, I'm behind yet again!!! Time to catch up! 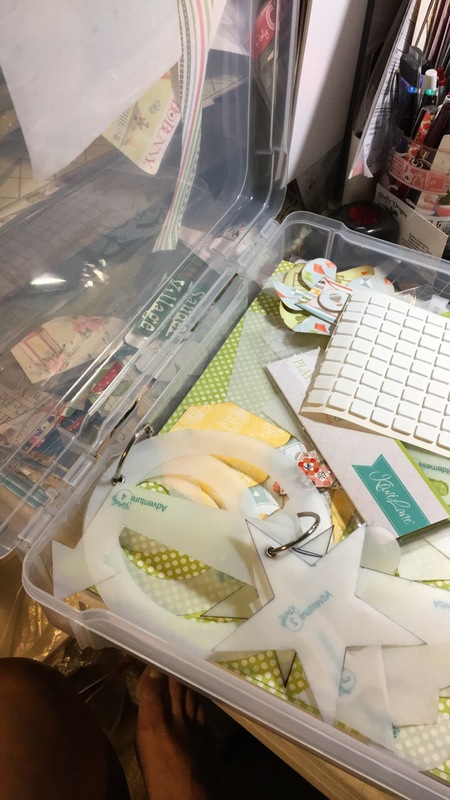 First...welcome Crafting with Kiwi Lane Facebook group members! Please post a comment to let me know you've visited! Have you created your projects for our Monthly Challenge? Today's the final day to post over on the Crafting With Kiwi Lane Group page! Anyone wishing to participate but not on facebook please email me your project photos to be included in the prize drawings. Monthly sketch and project below.... look forward to seeing your similar projects posted by midnight tonight, Wednesday, Oct. 31st, 2018! Kiwi Lane Kiwi Club Scrapbook and Cardmaking Kits! Packing for a little #wildwestadventure and need to limit my supplies to one container!!! The struggle is real!!! What would you pack? New Website in the Works!!! Thanks for your patience as I switch everything to a new Website host. Website address vintagescrapstitch.com will remain the same but there will be a delay with the transfer! Stay up to date on facebook and here. I'll give a big shout out when it's finished and ready!!! I can't wait to have shopping, the blog, tutorials and everything all in one place!!! Here's a glimpse of things to come! Thanks again for your patience!